Zest the lemon into a small bowl. Mix lemon juice and olive oil in a bowl large enough to hold the asparagus. Add asparagus and salt and pepper to taste. Either light your grill or pre-heat the oven to 450 degrees. Grill or roast asparagus until crisp/tender (still a little snappy). While the asparagus cooks poach (or fry – your call) the egg making sure not to over cook the yolk. 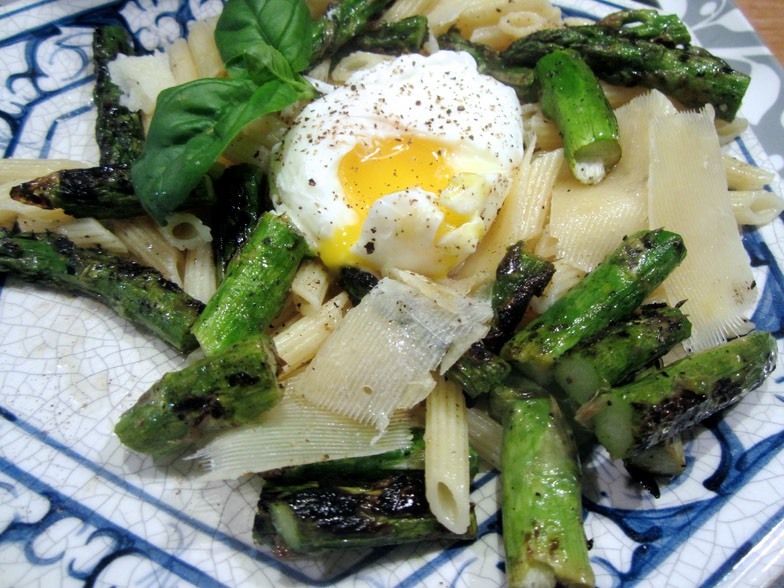 To assemble: Mix pasta with lemon zest and butter, top with asparagus, the egg, and Parmesan cheese. Break the yolk to mix in and enjoy!